With Chief Executive Travis Kalanick taking a leave of absence from Uber Technologies Inc, the vacant job of chief operating officer takes on a lot more importance as the company frames the position as key to solving its woes. Kalanick, under fire for crass behavior and fostering a culture of sexism and rule-breaking, in early March announced he was searching for a COO to help run the ride-services company. But in the months since, Uber has suffered a string of controversies and embarrassing setbacks and the job has remained unfilled - part of a leadership vacuum that extends through the company and up to the board of directors. In a report released Tuesday, former U.S. Attorney General Eric Holder and his law firm, Covington & Burling, recommended sweeping management changes at Uber in the wake of sexual harassment allegations and other scandals. The report advocates for a COO who "will act as a full partner" and run "day-to-day operations." It also calls on the board of directors to take steps to limit the CEO's responsibilities and provide "clear lines of demarcation between" the COO and the CEO. "The way the COO job is written in the recommendations makes it a really powerful and important job," said Bradley Tusk, an Uber investor and adviser. Executive recruiters and tech investors agreed that the job might look more appealing now than it did before Tuesday's report. Still, it remains unclear if the company can attract a top-notch leader while Kalanick retains both the CEO title and, along with two allies, voting control of the company. Kalanick said on Tuesday he was stepping aside at Uber because he needed time to grieve his recently deceased mother and work on his leadership shortcomings, according to a staff email seen by Reuters. He also said his leave "may be shorter or longer than we might expect." Such ambiguity will effect Uber's efforts to rebuild its executive ranks, startup experts say. "The lack of clarity around Travis' position hangs over everything," said Bill Aulet, managing director of the entrepreneurship center at the Massachusetts Institute of Technology. "You're dealing with the most important thing, which is, who is your boss?" "We have a strong leadership team including veterans who helped make the business what it is today and new talent who are helping to drive the changes we're committed to making," Uber said in a statement. Uber is struggling to recruit new employees and has many who are eager to leave. Ed Zschau, founder of Inductus Associates, an executive search firm for startups, said his firm has "people from Uber in the search process" for a new job, including senior-level employees. "If the board can be recomposed a bit and get the company back on track, who the COO is will be an important signal as to whether people will want to work there," Zschau said. 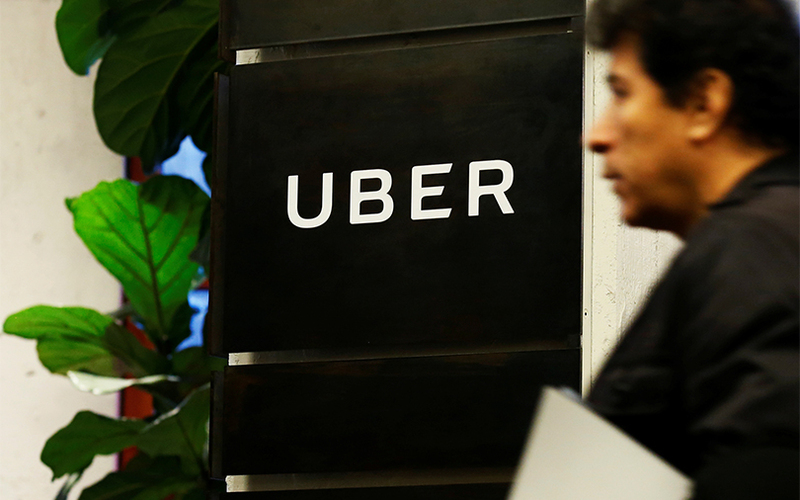 Holder's recommendations, including prohibiting romantic relationships between bosses and their subordinates and drinking on the job, suggest the Uber board failed to ensure the company had even the most basic checks and balances, say experts. "The Holder report could have been written by a law student who took an introductory corporate governance course," said Erik Gordon, a technology and entrepreneurship expert at the University of Michigan's Ross School of Business. "The board shares responsibility for the wreck." Uber retained Holder's firm in February after a female former employee publicly accused the company of brazen sexual harassment. A wake of scandals followed, including a criminal investigation of the company's use of technology to evade regulators, a lawsuit alleging stolen self-driving car technology and a string of allegations relating to a toxic culture. The resignation leaves Uber's board with seven voting members and four vacant seats. Unlike the boards of most big companies, Uber's directors have little executive experience. In addition to Kalanick, the board includes co-founder and Chairman Garrett Camp, early employee Ryan Graves, venture capitalist Bill Gurley, Saudi investor Yasir al-Rumayyan and media impresaria Arianna Huffington. Wan Ling Martello, an executive vice president at Nestle, was added to the board this week as an independent director. The Holder recommendations call for a restructured board, but the recommendation to install an independent board chair was left up to the board only to consider.